The Sussex County YMCA is dedicated to Youth Development, Healthy Living and Social Responsibility. Through our efforts to help communities stay healthy and strong, the Sussex County YMCA is assisting in a program to teach local children more about healthy living. Through a generous grant from the Robert Wood Johnson Foundation and the New Jersey Partnership for Healthy Kids, our Y was able to purchase new equipment for the Franklin Borough Elementary School to supplement their “CATCH” and “Healthy U” programs. Students in the Franklin Borough School are excited to be back at school using the new equipment purchased through the grant. Some of the new equipment consists of hockey sets, safety goggles, kick balls, scooters, hoops, frisbees, ping pong equipment, climbing rope, jump ropes, cones and more. Physical Education teachers, Y staff, and the School’s Health Counsel are working together to use the new equipment in line with the parameters of the Healthy U and CATCH program. All activities and equipment are used to reinforce participation of all children in a non-competitive environment with non-elimination games. Students are also gearing up for the Healthy U Kick-Off in early October. They will be creating colorful displays and bulletin boards throughout the school and sharing information about the benefits of physical activity and healthy eating. Children will also recommit by signing the Healthy U pledge and promise to continue to eat healthy and to stay active each day. Franklin Borough Elementary School enjoying after school activities. The Sussex County YMCA is dedicated to Youth Development, Healthy Living and Social Responsibility. The Y strives to help keep communities healthy and strong. The Sussex County YMCA, through a grant from the Robert Wood Johnson Foundation and the New Jersey Partnership for Healthy Kids, is able to teach local children at the Franklin Borough Elementary after school program learn more about healthy living. 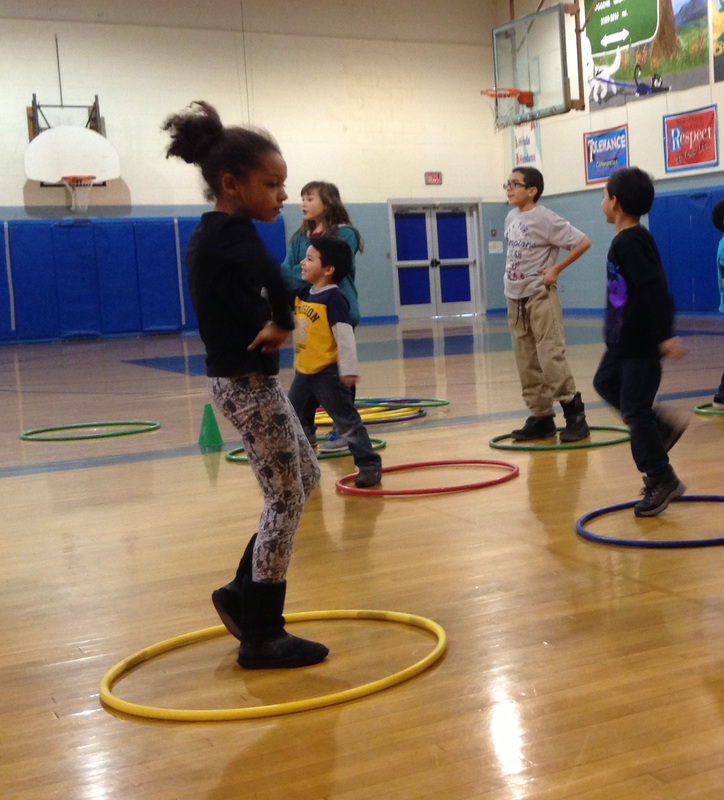 The children in the after school program at Franklin Borough Elementary School have learned the importance of increased time, intensity and duration of physical activity during the school day and after school programs. Through The Coordinated Approach to Childhood Health (CATCH) program implemented at Franklin Borough Elementary School. By teaching children that eating healthy and being physically active every day can be fun, CATCH and the Healthy U program has proven that establishing healthy habits in childhood can promote behavior changes that can last a lifetime, with a long term goal to decrease obesity. Healthy U and CATCH is an evidence-based program, designed to promote physical activity and healthy food choices in children. The after school CATCH curriculum is proven to have a positive impact on children ages 5-13. CATCH has proven that establishing healthy habits in childhood can promote behavior changes that can last a lifetime. It delivers coordinated messages about the importance of physical activity and nutrition. It also encourages parents and caregivers to help children learn behaviors to lead a healthier life. Healthy U is a collaborative partnership between the New Jersey YMCA State Alliance and the Horizon Foundation for New Jersey with the goal of combating childhood obesity by delivering nutrition education, physical activity and parental involvement. The Y has been utilizing Healthy U and CATCH Programs in its after school program at the Franklin Borough Elementary School. The CATCH program includes non-elimination games, along with the equipment needed for the activities, and a nutrition manual with weekly lesson plans. The program also includes letters to parents that reinforce and extend the lessons presented throughout the program, therefore making a bigger impact at home. It is the hope of the Sussex County YMCA that CATCH continues to be a resource for children in our after school rogram and well into the future and that children’s lives are truly impacted for the better as they learn how to take care of their bodies through healthy eating and by staying active, allowing them to live long, full and healthy lives. The Sussex County YMCA staff will provide additional training to the Franklin Borough Elementary afterschool staff and purchase supplemental CATCH equipment with the support of grant funds in order to strengthen the impact of the Healthy U program. The Sussex County YMCA children at the Franklin Borough Elementary School after school care have been learning about how healthy eating habits and the daily physical activity keep your body in balance. 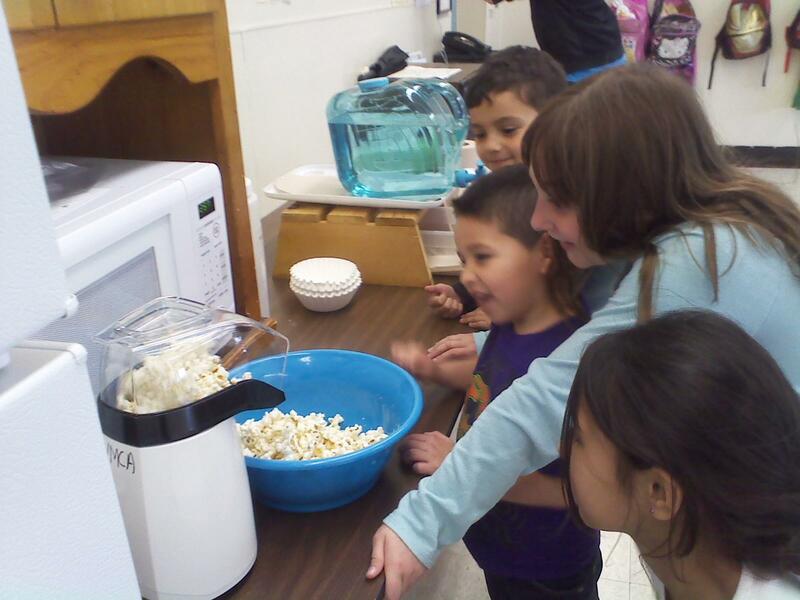 Through the “Healthy U” program, the children are learning how the foods they consume power their physical activity. They are learning that “Go,” foods are the healthiest foods that they can eat almost anytime, like skim, low fat dairy products, fruits and vegetables. “Slow” foods are sometimes foods, and shouldn’t be eaten everyday like waffles and pancakes. “Whoa” foods should make you say “Whoa! Should I eat that?” “Whoa” food are the least healthy foods or the once in a while foods like french fries or soda. They are also learning that if you eat “Go” foods more than “Slow” foods, and “Slow” foods more than “Whoa” foods along with physical activities every day, you will help your body’s energy stay in balance. The children have enjoyed learning that keeping their bodies in balance will give them the energy they need and it will last all day long. In addition, they are learning how to take “Slow” or “Whoa” food and turn it into a “Go” food. The children enjoyed making air popped, unbuttered popcorn instead of microwave buttered popcorn and matched the “Go” food with a physical activity. For unbuttered popcorn the matching physical activity was 5 knee lifts as compared to 10 knee lifts for buttered popcorn.